Saw a picture of an owl in a hat tonight and it nearly destroyed me. So cute it was criminal. 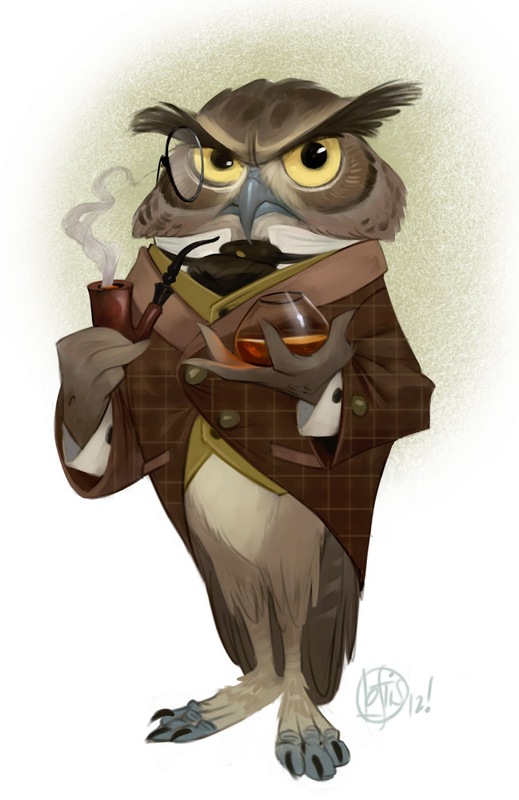 I immediately wanted to draw owls and then I remembered dapper owl...cut down in his prime by a werewolf vogue'n on some mushrooms. I didn't let myself get distracted this time, and I think it paid off. Hey naked kid you want some free demon heart? Full circle! I love these natural brush felling. Do you use brushes youself do? Did you already release them for download? man you are inspiring! Great stuff. Love this! Such personality and design. The brushstrokes are so smooth and nice. Great stuff! dude - this is awesome! I want a print of it! Great great fun. Those eyes make this character extra-intense. Cory YOUR THE MAN!!! Everything you post is just so friggen appealing!! Fine information, many thanks to the author.. Awesome work through and through sir. I love this guy especially.